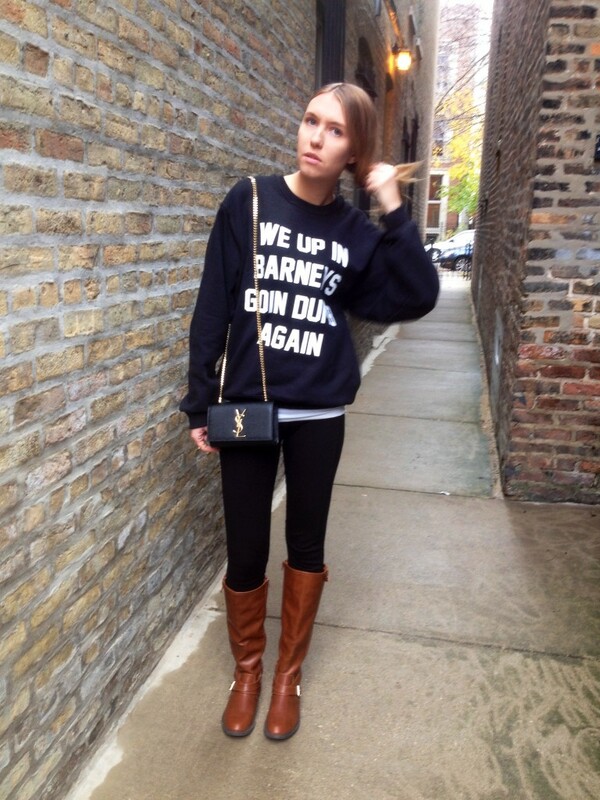 Sweatshirt: Private Party; Boots: Dolce Vita; Leggings: Akira; Bag: Saint Laurent. Casual Sunday called for a laid back look for watching football on the couch. And a little Drake, of course. I love that sweatshirt! 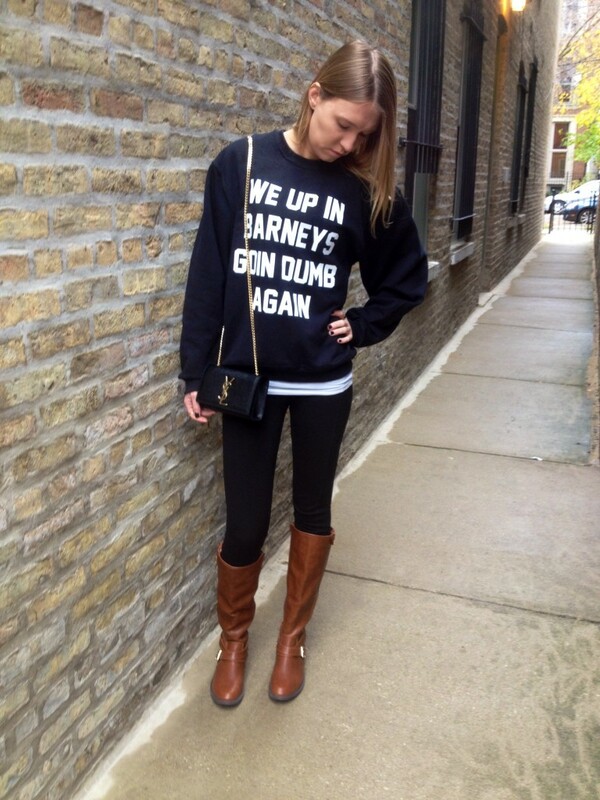 Barney’s is my fav! I love your bag too! Love this look. especially the sweater! This sweatshirt is SO fun! I love your outfit & your bag is gorgeous!! omg love love that sweatshirt and your bag of course!